This entry was posted on Friday, December 20, 2013 at 9:08 AM and is filed under electric vehicles, Gov. 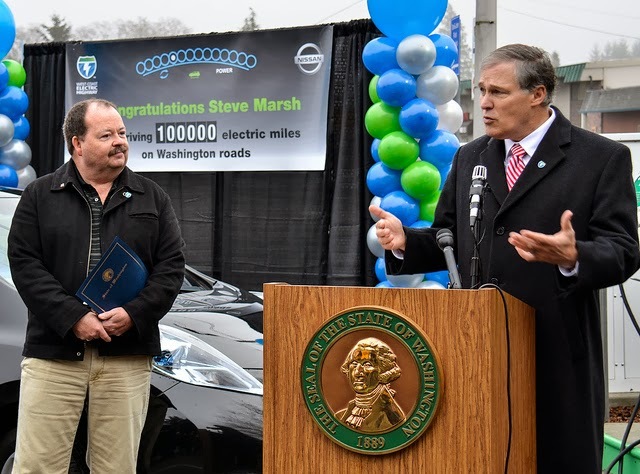 Jay Inslee, governor, Jay Inslee, LEAF, Lynn Peterson, Nissan LEAF, Secretary Lynn Peterson, Steve Marsh, West Coast Electric Highway. You can follow any responses to this entry through the RSS 2.0. You can leave a response.